LONGLISTED FOR THE 2018 WARWICK PRIZE FOR WOMEN IN TRANSLATION Judith Hermann's masterly new stories reveal the inconceivable drama of existence: what happens when we meet someone? In the stories of Letti Park, strangers wander into ordinary lives and change them in profound yet unknowable ways. Like us, Judith Hermann's characters have no defence against these intense and unpredictable encounters. They occur at random, without cause or provocation, and unfold beneath the threshold of comprehension. 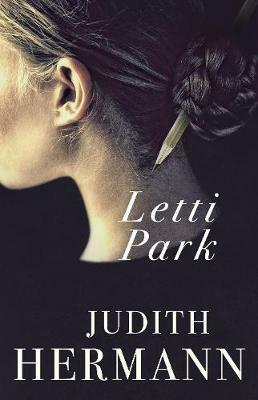 In Letti Park, Judith Hermann explores this all-important moment, our loneliness and rage and longing.